LS 0181158 had the most liked content! Thanks to both of you for your comments. I will take my car to a different mechanic up the street for an analysis of the driveshaft components/other drivetrain vibrations, since the Toyota dealer was standoffish in this department. I think I'll order the strut rod bushings beforehand and simply tell them to replace those parts at the same time. Having purchased the car with 115K, I am quite sure that at 201K, the car is still on its original bushings. I'll also have the mechanic take a second look at the motor and transmission mounts. Where did you all order the strut rod bushings from? I will certainly go with OEM, but where is the best place to get them? Hopefully this addresses at least the steering wheel shimmy. Been awhile since I posted here! 1998 LS 400, now with 201K miles, drivetrain all original. Owned since 115K and maintained detailed records since then. Lately, I've observed the following irritations/concerns, and will attempt to break them into their own sections. 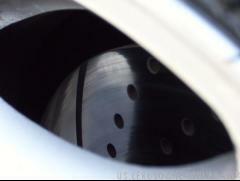 Potential failure of torque converter lockup clutch or related components: The issue: At highway speeds, the mechanical linkage in the transmission--the one that is coupled when maintaining a constant speed--disengages on the slightest uphill grade or when even the smallest degree of acceleration is required. I know this is supposed to happen when sufficient additional power is delivered through the transmission, but I've owned the car for over 80K and definitely have a feel for what that threshold is. The lockup clutch refuses to stay engaged (disengagement is accompanied by a gentle driveline jolt and an increase of perhaps 150 rpm on the tach) unless the accelerator is absolutely feathered. It feels like the transmission is constantly "hunting" back and forth, in and out of the mechanical engagement--in top gear on the highway. The higher the speed, the more power is required, and the less likely the lockup clutch is to stay coupled. 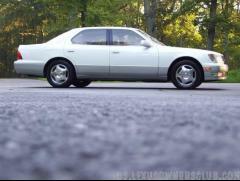 Background: The car is a 1998, so remember it's the 5-speed transmission, not the 4-speed. The exact same symptoms described above manifested during March/April 2009 (this would have been around 155K miles) for approximately 3-4 weeks, then abruptly disappeared entirely until just this past Friday. Exactly a week prior, I had the Toyota dealer up the street flush the transmission and replace with 16 quarts of Type IV fluid as required. I was wary of the flush vs. a drain/fill, but the techs there seem quite competent and recommended the flush as a more effective way to replace the transmission fluid, which has always remained black even after prior drain/fill services. The transmission shifts great now--even smoother yet crisper gear changes than the ones before, which were just fine IMO. I'm on the fence whether the lockup clutch issue has anything to do with the flush, as this problem didn't occur until a week later and had manifested itself briefly almost two years ago. Is this mechanical, hydraulic [fluid issue] or electronic? Could this be the "torque converter lockup clutch solenoid" I've heard of? Other suggestions? Will I need a new transmission? And how bad is the impact of this continued behavior on the life of the current transmission? Chassis vibration and steering wheel shimmy at highway speeds: The issue: Also at highways speeds (particularly noticeable above 65-70 mph), I notice substantial vibrations coming through both the steering wheel and the chassis. It feels as if the car is running over lightly rippled pavement, but clearly has nothing to do with the road surface. The rapid pulsations of the steering wheel shimmy vary with road speed, but may also smooth our or reappear without apparent cause while maintaining the same speed. Likewise, the entire car can vibrate in line with road speed [sort of a rapid up/down shaking like might be felt on account of out-of-balance tires]. Also, releasing the accelerator to allow the car to coast down [from any speed] creates a sort of coarseness/subtle rumbling vibration that can be felt particularly up through the center console armrest. That glass-smooth highway ride I've experienced in even older, higher-mileage LS 400s and recall from my own car a few thousand miles ago? Pretty much gone. Background: At my request, the aforementioned Toyota dealer inspected the following: - Motor mounts [deemed fine condition despite the mileage] - Transmission mounts [same as above] - Wheel bearings [no issues there] - Strut rod bushings [again, I was advised these are in fine condition] To my knowledge, none of the above items have ever been replaced. I had brand new Sumitomo HTR A/S P01 V-rated tires mounted and balanced[on original rims] less than 2K miles ago. The car was aligned at that time as well. I'd been experiencing the steering wheel vibrations with the old Yokohama tires (the fronts were extremely worn), and to my chagrin there was little change with the new tires, aside from an obviously much quieter and smoother ride purely on account of the Sumitomos' deeper tread. Exactly 32 psi all the way around, no uneven tire pressures. The only suggestion the Toyota dealer had regarding the chassis vibration was that the driveshaft and/or U-joints might require attention. For perhaps 10K miles I've noticed an odd 'binding' sensation transmitted through the drivetrain in top gear at exactly 76-78 mph--almost like this is some kind of odd harmonic frequency. Was never there before. So maybe it is something to do with the driveshaft. Of course, that explanation does not address the annoying steering wheel vibration/shimmy. I think I have to accept there are probably multiple issues at play here. Given the mileage, what are your suggestions, taking into account the items supposedly NOT worn enough to require replacement? On a side note, is it common for motor/transmission mounts, front strut rod bushings and wheel bearings to serve over 200K and remain entirely serviceable? Within the next month or so, it appears I'll be moving halfway across the country, and I don't want to have to worry about (or be irritated by) my car either on the trip or in my new location! I'm prepared to spend a grand or more if the expense can be more or less assured to correct these issues. Thank in advance for your suggestions! Hey, thanks a lot. Yes, it was actually just the fuse. #31 had no effect whatsoever. #8 fixed both the climate control and the stereo. I was initially concerned the source had to be something more serious. A coworker of mine has a 1992 ES 300 (just under 180K) with stereo and climate control that both quit working suddenly as she was driving. The stereo does not turn on, and even with the car running, the climate control functions exactly as it would with the car off--that is to say, not at all. There is no blower and no display. Pressing the "Auto" and other buttons results in neither the expected audible beep nor any other response from the system. However, the clock readout (set in the upper right corner of the climate control face) continues to function normally. The car starts and runs fine. The only other anomaly I found is that the power mirrors do not work either. 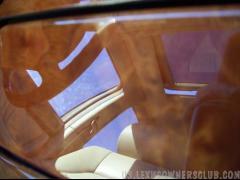 Windows, door locks, flashers, interior light, etc. continue to operate just fine. I began pulling fuses based on the circuits defined in the owner's manual. Seems the stereo is under multiple fuses (I believe three) but the climate control is just under fuse #31 (40A, located in the passenger's side kick panel). I removed that and found the metal indicator inside looked a little corroded. Also, fuse #8 (I think--don't have the manual, but it's 15A blade-type, behind the plastic door to the left of the steering column, middle row, far right) was clearly blown. She was going to get replacement fuses so I could test those, but in the meantime--provided fuse #8 and #31 don't solve the problem--could something more serious have caused simultaneous failure of the stereo and climate control units? 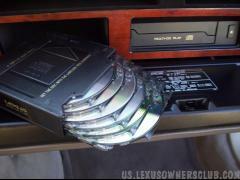 I'm familiar with the '90-'94 LS 400/SC 300/400 blacked out displays and have witnessed blower motor failures in other cars, stereos that needed a code after the battery was disconnected and so forth, but here both items are just DEAD. Even if fuses are the cause, it seems a bit odd for everything to have happened at the same time. Any ideas? Suspension Question: Shocks, Strut Rod Bushings..how Much? blake918, that sounds quite labor intensive! Lifting a tire off the ground--I'm going to need to recruit Swedish strongman Magnus Samuelsson or something to help with that one. I might as well get the ball joints done, though; sounds like less than $400 parts and labor, perhaps even less labor if I'm having other suspension components replaced at the same time. RDM, I don't notice any kind of rattle, clunk or other noise coming from the car, especially not from the rear end. But I will keep that in mind--after all the parts seem to be only $35 each. How I love to hear 180K referred to as "low mileage!" 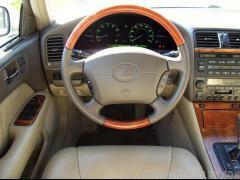 Only with a Lexus, I guess. It certainly FEELS low mileage, and the ride is really the biggest factor introducing sharpness and quivers that detract from this sensation. Thanks to all for your advice and the experience you collectively related. Since my car is sitting level, I think it's safe to pass on the springs. 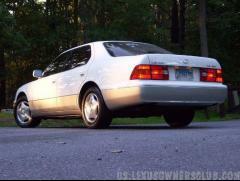 1990LS400, you're right--the complete strut rod assemblies are only like $65 each. Maybe I should just start there...but I'm so tempted to want the best ride possible and I KNOW four new shocks ought to improve the ride noticeably, even if it falls short of 0K mile perfection. However, doing everything (2x strut rods @ $65, 4x struts @ ~$100, $400 for labor (plus alignment) is looking like more than $1,000. I guess that's not unreasonable considering how infrequently these parts need to be replaced. How do I know if my ball joints are worn? Do you think this is something I should just get out of the way given the important safety role of these parts? I find they run about $90 each. How much was labor? blake918, it may indeed make sense for the mechanic to look for the most worn suspension components to address--those most likely to make a significant difference when replaced. I guess that's better than blind speculation, although once again, any parts replaced at this mileage are bound to have a noticeable effect. Thanks again to everyone for your help. My 1998 LS 400 (non-air suspension) just passed through 180K recently, and I feel the ride has degraded since 115K when I bought it. I'm quite sure the suspension has never been altered/replaced since new. Obviously any wear-down has been extremely gradual over 65K worth of driving, but it would stand to reason that a 180K LS 400 cannot be expected to ride like a 0K LS 400. I think it's time for some $$$ (hopefully just $$) invested. Symptoms: the car sits pretty level, but if I had to choose, the back is a bit lower than the front. -The ride has become 'sharp' over pavement imperfections--frost heaves, expansion joints (these can actually elicit a 'crack' sound from the dash if they rise up enough relative to the road surface), manhole covers, unavoidable potholes, etc. Over milder bumps and in faster driving, body motions are still very well controlled. It seems like the sharp edges/kickback can be felt through the steering wheel as well. -At steady speed on the highway (especially above 75 mph), there is a slight but steady 'jitter' coming through the structure. Not teeth-rattling or anything, but the ride isn't glass-smooth with the steering wheel resting dead in your hands as it should. Tires are less than a year old and I don't think the car is out of alignment or anything. -I don't notice it now, but when the temperature was warm (started when it was hotter than 80 degrees only, but last fall occurring at slightly cooler temps as well), there is an incessant creaking sound (like a tired bedspring) accompanying front suspension motions. Most noticeable going over heaving bumps (speed bumps, etc.) at low speed. Kind of goes away at high speeds, but I think it's just because the ride motions are smaller and there's a higher volume of general wind/road noise. Again, the warmer the ambient temperature, the more noticeable the sound. I'm not trying to alter the suspension from stock; I just want the OEM ride back. My thoughts are to begin with new shocks. Any thoughts on where to buy and what brand? What about springs; will they be necessary? 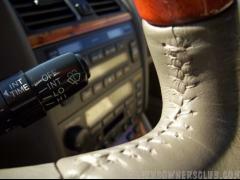 In a reply to an older post of mine, SW03ES had mentioned (I think) strut rod bushings to quell steering wheel kickback. Now, I found some of those online for $65 each (should I be replacing two or four?). Anything else I didn't think of? I would like the most dramatic increase in ride comfort (restored close to original) for the least amount of money. Has anyone replaced the suspension on their 1998-2000 LS (or 1995-1997 if it's the same design)? How many hours of labor should I expect to pay for? Thanks in advance for any ideas. That is really reassuring. During the time you've had your LS 430, I've owned five used cars (two of them for just a few months several years ago as they were of the sub-$2K variety!). 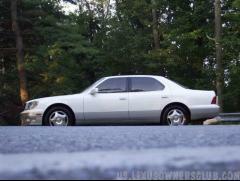 Then I got my LS 400, and it has been by far the most reliable and one of the most pleasant cars I've owned. Like you said, just oil changes, plus two 60K-type services, new brakes and tires (1x), and a $2,400 timing belt/water pump service that included one of the complete 60Ks and replacement of the starter. That's been the car's history with me 115K to 178K, and still driving beautifully with no surprises. I've considered eventually replacing it with a 2003-2006 S500 or CL500 instead of the logical LS 430 choice, but those late-model Mercedes seem to be maintenance horrors compared to the staid but ultra-reliable LS. 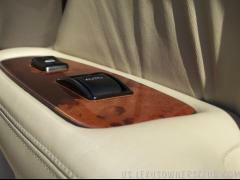 And the LS 430 interior is so much warmer. Of course, the LS 460 combines the sleekness and class of the previous Mercedes models with expected Toyota durability, but $50K for a 2007 is still too rich for me! Looks like I'll have to keep my car for a few more years... Do you have the air suspension option on your car? (I noticed the "axle height sensor"). If so, was that standard on the Ultra Luxury package? I've read to stay away from air suspension cars due to the excessive cost of parts replacement (and that of course goes for the AIRMATIC Mercedes models too). I cannot add anything Banshee365 didn't already say perfectly. Just to point out my experience: -I've heard bad things about transmission flush, but then again been told it doesn't cause any issues. -Never heard anything bad about simple "drain-and-fill" changes, although it takes a few cycles to exchange ALL (or most of) the fluid. -Make sure to use Toyota Type IV fluid (as several others already said) -I don't think frequent changes can hurt. Definitely better than leaving the fluid in there forever. Every 30,000 miles is good. Personally, I've had the fluid drained/filled three times in a bit over 60K miles. 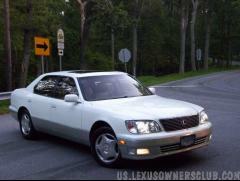 Hmm...your car has a 22.5-gallon tank just like my '98 LS 400, and EPA rating is 18/25 vs. 19/25 for my car. I've never driven in temps quite as low as 8 degrees, but my average mpg to date over two plus years (obviously mixed driving) is 22.5. I use 93 octane religiously. That said, my FURTHEST DISTANCE covered on a single tank was 583 miles in August 2008, and my gas mileage for the tank broke down to 27.8 mpg--astonishing for a V-8, and well above the LS 400's EPA highway rating. I averaged 55 mph [per trip computer] over the course of the tank--first easy driving on Vermont's back roads, then a 75-80 mph run down to the eventual refueling stop in Scranton, PA. I filled back up with 20.964 gallons, meaning I still had over 1.5 gallons left--so technically I could have exceeded 600 miles before the car ran out of gas! Of course, I didn't want to go through that in rural mountainous Pennsylvania... On long highway trips starting with a full tank, the trip computer normally reports a "Tank Average" of perhaps 24-26 mpg--and in my experience it calculates a bit less than 1 mpg high. Efficiency seems to increase noticeably after the car's been run at a steady engine/road speed, well after the engine reaches normal operating temperature. Not to take anything away from your journey, but why don't you try switching back to premium gas and see if you notice an improvement? I also installed a K&N air filter, although that was after the 583-mile trip referenced above. By the way, how do you like your LS 430? I think the exterior style is frumpier than the LS 460 and even the LS 400, which is kind of a turn-off, but the interior is WAY more opulent than the LS 400 and even the Mercedes S-Class of 2000-2006. 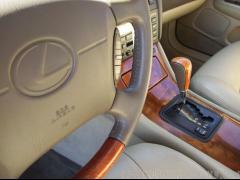 Plus I'm sure the LS 430 continues to be worlds more reliable than any other big luxury sedan! 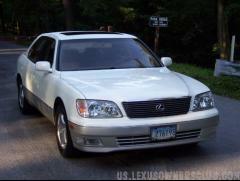 When I'm done with my car, I'm thinking about buying a 2004-2006 LS (like the mid-cycle refresh better with its sharper headlights, LED tail lights and 6-speed auto). Really sorry about your misfortune. Don't get me started on how I feel about the general public not respecting the cherished property of others. Every time I see someone leave a shopping cart rolling around in the middle of a parking lot (especially on a windy day) because they are too lazy to return it where it belongs... Whether or not to repair it depends on what the rest of your car looks like and how much you value its appearance. I've seen plenty of cars with this kind of damage that you barely notice because the entire car looks so ragged. I know on my car (which is the same color) I couldn't stand what you pictured. As a matter of fact, my car has a very slight indentation which appeared in 2008 on the front bumper beside the license plate. I took it to a body shop, and they detected poorly-repaired prior damage (obviously from before I got the car). I had thought someone backed into my car. Overall estimate was somewhere in the range of $500-700, depending upon whether they were able to spare and reuse the expensive (I believe $120) chrome strip during removal and reinstallation. Ultimately, I've decided to pass on the work (so far) and doubt I will ever get it done. 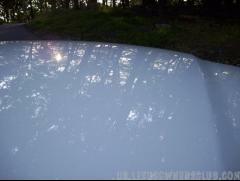 There's no paint damage, and the only way to tell is based on the irregular reflection of light off the indentation. I'll NEVER get back the money I put in. In your case, the damage is more obvious. 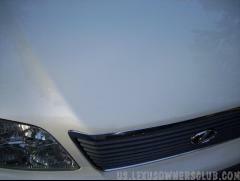 How did the person manage scratch evenly across the receding contour of the lower bumper? One thing that concerns me is the fact that both the upper and lower portions will need to be addressed separately, and they naturally will require two different paint colors. I'd get estimates from several different body shops and make sure I understood how each planned to tackle the work. The more thorough and comprehensive, the more you'll pay, of course--perhaps a couple times as much. I wouldn't be surprised if a good shop wanted over $1,000 for the repair. Everyone else is right--removing the bumper yourself should save substantial labor (not that I'd personally have the wherewithal to attempt this). What's your insurance deductible? Thanks all! Great comments, and just what I wanted to hear, too. IMHO I am more concerned about the effect of full-throttle acceleration on the transmission than the engine--although Lexus (and for that matter Toyota) transmissions I KNOW to be extremely robust. But I've changed my transmission fluid three times in just over 60K miles of ownership, and now, at 178K, the thing still shifts smoothly and crisply. In my experience, Honda products are fantastic vehicles too, but the automatic transmissions are not quite as durable. 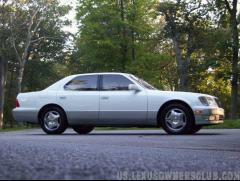 I drove a kind of ragged-looking 1990 LS 400 with 210K for a bit--no problems at all--and heard of other LS 400's continuing to 700K on the OEM engine and transmission--but we don't need to start on that subject, do we? When I DO accelerate hard, I try to keep a steady foot on the gas, and I'm always conscious of what the transmission is doing so my right foot can modulate the stress at shift points to the greatest extent possible. With that said, an occasional standing-start run to redline through a few gears in "PWR" mode should be good for the engine, exhaust and cats. Of course, extra-legal speeds are reached in no time flat under those circumstances! SRK, I did not know that under full throttle the engine goes to "a rich condition to protect the engine." Good information, and makes sense to explain the smoke to some degree. Dannymcenrow, 141K is NOTHING on these cars! With good care, I fully expect my car (and any other LS) to last to at least 300K, or more. 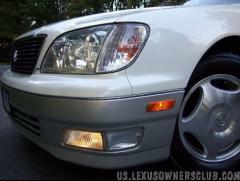 Just look on Autotrader--many, many LS 400's (the majority of older ones by this point) have more than 200K, and a good number look new yet have 230K, 260K or 280K. There's one on there now with 342K! And the miles don't even seem to affect asking prices that much. Show me an American car (or even a BMW or Mercedes model) achieving that kind of longevity on such a regular basis. I think it's true luxury car engines are reputed to be SOPHISTICATED, but not necessarily "delicate"--especially in the case of Lexus engines (as SRK pointed out), and in older BMW [the 1985-1993 M30 inline-6, for instance] and Mercedes [1980's 3.0-liter inline-6 and 5.6-liter V-8] cars. These motors, among others, seem as bulletproof as anything Detroit may have built back in the day. 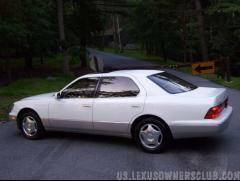 I've got a 1998 LS 400, and I believe the design should be exactly the same as your 1995. The 1990-1994 LS is a bit different, I think. I know what "three bolts inside the trunk behind the liner" you're referring to, but you don't have to mess with those. You do have to sort of loosen/remove the tail lamp assembly to get at the bulbs, and this requires the removal of exactly two screws (circled in photos). As Cyber_man mentioned, you'll need to use a flat screwdriver to pry off the dime-size circular covers concealing the two screws. I've attached a first picture showing one of the covers and a second picture of both screws with the covers removed. Once you get the screws out, gently pull the tail lamp assembly back while jiggling it a bit toward the outboard side of the car (away from the trunk opening). It should tip back and allow you to access the bulbs. Of course, reassembly is the reverse of removal. 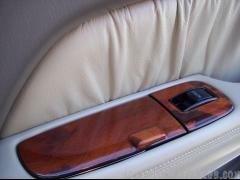 The bulbs in the trunklid itself are easy--flaps in the trunklid carpeting grant access to those. 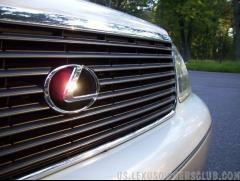 Lately, I've noticed my '98 LS 400 blows out a substantial amount of blue/brown smoke on the infrequent occasions when the engine is revved to redline. Understand that I don't drive like a maniac, and even brisk acceleration for my style (due to the torque of the engine) means gear changes near only about 3000 rpm. And in 5th gear highway driving, 3000 rpm = 96 mph, so the engine is RARELY run faster than that. Most of my shifts in daily driving occur around 2000 rpm. Also, about 10K miles ago I asked my mechanic to complete a fuel injector cleaning service (along with timing belt/water pump change and a bunch of other maintenance work). The LS has about 178K on the odometer now and runs fantastic. Fuel filter replaced this past Spring, plus K&N air filter (which does need to be cleaned soon). I've always run 93 octane fuel and performed oil changes every 3K or less. As I indicated, under unusual circumstances (when passing on two-lane roads, for instance), it becomes necessary or desirable to floor the accelerator. You all know what happens next--as the gas is pressed, the transmission immediately downshifts out of fifth (the car starts to accelerate smoothly) and then--after a pause, and with the pedal floored--grabs second. Instant rocket-ship acceleration, and in mere seconds, the car has traded 55 mph for 80 plus. In the past three months, I've called for this maybe four or five times. Today, it was an indecisive 3-Series BMW I was attempting to let merge; after I had slowed to nearly a walking pace and he still didn't come over, I began to gently accelerate past him. Naturally, the driver chose to accept my earlier invitation at precisely that instant, necessitating the 5th-2nd (or possibly 4th to 1st) downshift to scoot out of his way! A quick glance in the rearview mirror revealed literally a CLOUD of dirty-looking smoke hanging in the air It was clear this got kicked out the tailpipes through the 4000-6000 rpm sweep (lasting only a second or two), and my car stopped generating the smoke at the next upshift. Now, I remember reading on a Cadillac forum that Northstar engines last longer and tend to stay cleaner when run hard. The poster (I seem to recall he was a mechanic) had taken apart/rebuilt numerous such engines, and commented that those that had been "babied" were usually the most gummed up. The same person recommended a regular procedure for engines that usually waffled around town at low rpm: drive at a steady 55 mph with the transmission in 3rd. Accelerate to raise the rpm near redline, and then let off the gas, allowing engine braking to slow the car. Repeat several times. Perhaps the 1UZ-FE V-8 is a completely different animal--I wouldn't know--but might the same tendencies apply? Despite my fuel injection cleaning last fall, do I not "blow the carbon out of the engine" enough? Like I said, really hard acceleration near redline is the only time I notice smoke. Today there was a lot of it, which prompted the post. Any suggestions for how to keep my engine clean and generally healthier would be very welcome!